Nusco is a town and comune in the province of Avellino east of Naples situated in the mountains between the valleys of the Calore lucano and Ofanto Rivers. Of uncertain origin, Nusco was probably a small fortress. Hannibal crossed this area during the Punic Wars. As the legend goes, some of Hannibal's elephants became ensconced in the mud of the river to the east. As his elephants drowned the General mourned the death of these great beasts. As such, the river that extends through this valley became known as, and remains, the Ofanto (a corruption of Italian "elefante") River. Nusco is also known by the nickname "the balcony of Irpinia" for the spectacular views which one can enjoy from its hills. 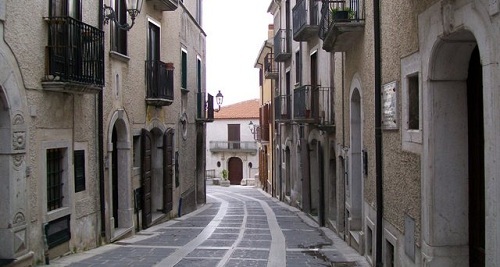 Although the castrum dates back to the VII-VIII centuries, the village was mentioned for the first time in the will of the Bishop Amato in 1093. 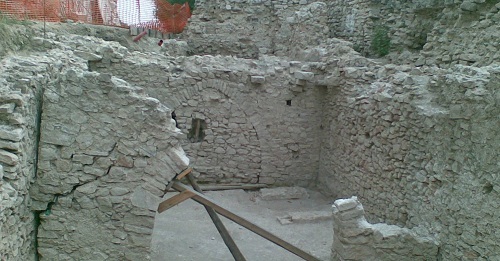 During the Middle Ages, precisely in 1122, Gugliemo, the last duke of Apulia, and in 1254, Manfred, the future King of Sicily, found shelter in the Castle of Nusco. The caste was built by the Lombards to defend the valley from the Ofanto river to the Calore one. 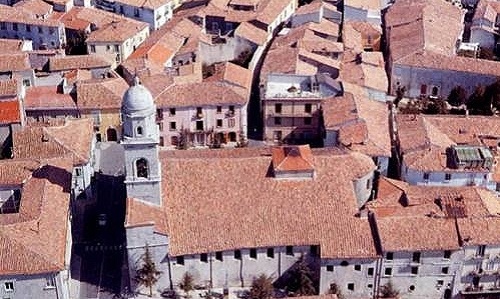 It played a very important role between Irpinia's people until the 17th century. In the 1656 a plague struck Irpinia killing up to a third of Nusco’s population. In addition to its drastic effect on people, the plague irrevocably changed Nusco’s social structure. 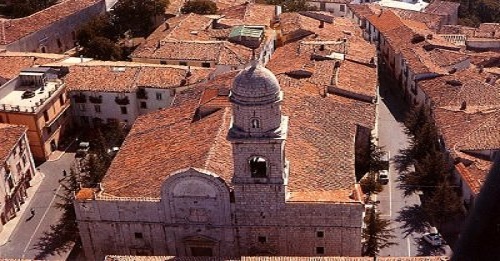 It started to lose its economic power, and until the second half of the 20th century Nusco’s history was strictly linked to the history of the Church. In 1799 the castle was sacked and destroyed by Sanfedisti, troops of the Cardinal Ruffo. From the XII century to 1806 (the year of the abolition of feudalism), Nusco belonged to several important noble families of Naples, as the De Tivilla, the De Medania, the D'Aquino, the Gianvilla and the Imperiale. For years the town experienced the poverty and misery of rural towns. Vestiges of feudal relationships left the peasant farmers with little richness. In the late 19th century, families left Nusco for other, wealthier regions of Italy, as well as for new opportunities in South America and the United States. Concentrated in its beehive, the town has as its queen bee the bell-tower: colossal, regal, 33 meters high, like the age of Christ, it is the incarnation of a Christianity that here is part of the town's collective identity, its blood ties with Amato (first bishop of Nusco), the patron saint to whom the majestic cathedral is dedicated. Walking through the historic center, the visitor will frequently come across stone portals, noble coats-of-arms, wrought iron balconies, votive shrines, loggias, entrance halls with cisterns, arches, vaults, small piazzas, stairways and cobblestone alleyways. There are many religious edifices as well, among which the Church of the SS. 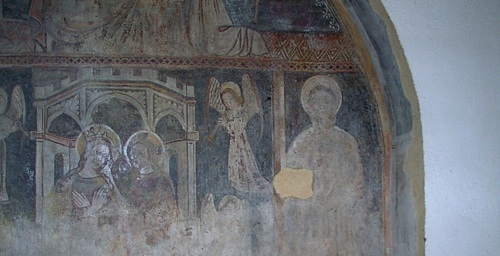 Trinità is worthy of mention, with its medieval frescoes, as is the Church of San Giuseppe, with its lovely late Baroque façade. The Benedictine Abbey of Fontigliano, built in Lombard times is located a few kilometers from Nusco, at the foot of Montagnone of Nusco. The gaze sweeps from the Varco di Acerno and nearby mountains up to Mt. Vulture, the northern Lucanian Apennines and the Maiella mountains. The Bonfire Night is a local tradition celebration in honor of St. Anthony the Abbot (second week of January). The fires are lit around the village and express the joy of life. This rite is used by well over four centuries and combines tradition and fun.